A recent survey showed that manufacturing accounts for almost 15 percent of the North East of england’s output, way above the national 10 percent. The strengths of the North East manufacturing are its booming transport sector, its highly-prized chemical and process industries, and its world-leading offshore engineering expertise. 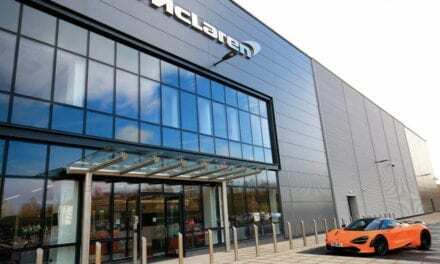 While the nature of the UK’s Brexit weighs on the minds of many, two of the region’s major manufacturers have given the region a massive vote of confidence. In August, the national media reported Nissan executives saying they planned to step up production at their Sunderland plant by 20 percent to around 600,000 vehicles per year. The plant currently employs almost 7,000 staff . The reports also said Nissan wants to source around 80 percent of the parts for the Sunderland plant from the UK – up from 40 percent – as it looks to insure itself against the risk of higher duties after Brexit. Also this year, Nissan publicly committed to building the new Qashqai and X-Trail, as well as a new version of the Nissan Leaf electric vehicle, at its Sunderland plant. Just a stone’s throw from Nissan’s facility, the North East Local Enterprise Partnership and the North East Automotive Alliance (NEAA) have unveiled proposals to develop a new International Advanced Manufacturing Park (IAMP). It will cover 100 hectares and aims to attract £300m of private sector investment and create over 500 new jobs every year from 2019. “Nissan may have provided the initial lightning rod but in its wake we have seen the spawning of a remarkable supply chain, characterised by technical innovation and the adherence to world class standards,” said Paul Butler, NEAA chief executive. “We now have evidence to prove the automotive sector generates sales of over £11bn annually in the North East and we directly employ over 30,000 within the manufacturing companies and supply chains linked to automotive. In November, German firm ZF Group announced it would create an additional 70 jobs with a £30m investment in its plant in Peterlee, County Durham. The company, which makes cameras for driverless cars, said it will increase its headcount to 950 and boost production to 10,000 units a day. ‘A NEW multi-million pound research and testing facility, which will help the North East subsea sector maintain its position as the ‘NASA of the underwater world’, was opened earlier this year. Tyne Subsea is a joint initiative between Newcastle firm Bel Valves and Newcastle University and will support the global quest to recover underwater reserves in oil and gas, and precious metals such as gold and copper. Photo: Bel Valves Hyperbaric Chambers will be used by Tyne Subsea to search for oil, gas and precious metals. Also in County Durham, a second major regional inward investment success story blossoms, with the continued progress of the Hitachi rail plant in Newton Aycliffe. It opened in 2015 and now employs around 1,000 workers. Earlier this month, Hitachi Rail Europe was shortlisted to make the 225mph rolling stock for the new HS2 project between the North and London. This followed closely on from the unveiling of the first trains to be built in the North East – the home of the railways – for over a generation. A £400m contract with ScotRail will see Hitachi deliver 70 Class 385 commuter trains for the Glasgow to Edinburgh line. The transport sector accounts for over half of the region’s £12bn annual exports, while the chemical and process industry accounts for over £2.5bn. This is primarily centred on Teesside and supports some 1,400 regional companies employing 190,000 people. 2017 saw the completion of what many have observed as the most important investment for a generation with the upgrade of the SABIC ‘Cracker’ facility at Wilton, near Redcar. The Cracker is fed raw material gases and liquids and ‘cracks’ apart their components at temperatures of around 1,000°C before cooling them to below -180°C to produce ethylene, propylene and butadiene. These are the building blocks that allow the chemical, composite and plastics industries to create a wide range of everyday items, from food packaging to car interiors, detergents and shampoo. “These are not easy times for our industry but it is a statement of SABIC’s commitment to Teesside, the UK and Europe. 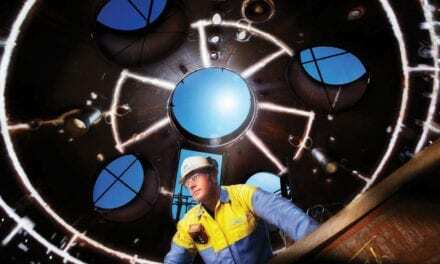 We’re here to stay,” said SABIC’s Teesside site director John Bruijnooge. Three-quarters of the North Sea’s oil platforms were built in the North East and this marine engineering heritage has helped the region develop a worldleading offshore sector. The region accounts for over 5 percent of a global subsea equipment market worth £20bn, and this will be further boosted with the opening of Tyne Subsea earlier this year. While Humberside is emerging as the UK offshore wind hub, North East firms such as Newton Aycliffe’s Tekmar and JDR Cables of Hartlepool and Newcastle are capturing huge shares of their market for bespoke cabling and ancillary products. “The offshore wind industry is benefiting from the skills and technology-led solutions of a broad and diverse supply chain, a cluster of which is located in North East England,” said George Rafferty, chief executive of Durham-based supply chain body NOF Energy, which represents many businesses in the industry. Elsewhere, the strength of the North East’s pharmaceutical sector was recognised with the purchase of County Durham firm Quantum Pharmaceuticals for £150m by Clinigen, and GSK continues to invest in its Barnard Castle plant which employs over 1,000 staff. The growing meat-free market is creating jobs on Teesside. Multi-national manufacturer Quorn Foods is to create an additional 300 jobs with a £150m investment at its Billingham plant. In the defence sector, South Shields shipbuilder A&P Tyne is hopeful of securing work on the new Type 31e Royal Navy frigates. In September Akzo Nobel opened the world’s most advanced paint plant in Ashington, Northumberland. The £100m facility is now the centre of production for Dulux, the UK’s leading decorative paint brand. In June 2017, a new report from manufacturing body the EEF showed the number of manufacturing companies in the North East had increased by 3.9 percent to 4,235 businesses, while business confidence amongst North East firms rose to the second highest of any UK region in Quarter 3 of 2017. “Manufacturers appear to have taken the recent political upheaval in their stride and are taking advantage of growing world markets to make hay while the sun shines during 2017,” Scott Duncan, North East regional manager for the EEF, observed, but struck a note of caution as well. “There is little doubt that Brexit is likely to weigh on sentiment over the next 12 months with uncertainty over the UK’s terms of exit.